As you know, I'm fascinated with the Centriole and other similar cylindrical protein structures (microtubules), and believe that they are quite likely to be a structure that has sufficient isolation to allow coherent interference (quantum) and thus act as as some type of processor. Following on from this I'm quite wedded to the idea that their architecture somehow reflects something vital about the nature of the reality I experience. 1. 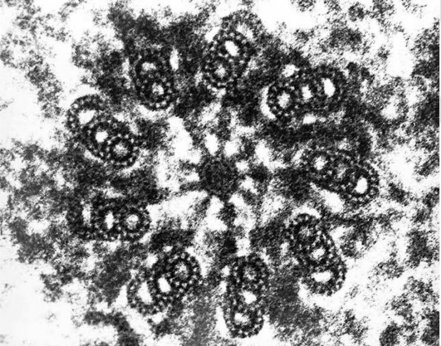 Cross section of the highly conserved centriole, showing excellent details of the 9 microtubule triplets. 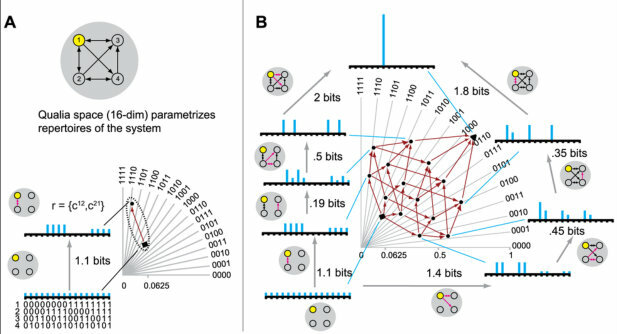 Stephen Wright recently mentioned Tononi's ideas on integrated information. I've heard of them before, but never actually read anything about them. So I thought I would grab one of his papers "The Geometry of Integrated Information", and although I was somewhat mystified with the maths, the diagrams illustrating degrees of freedom hit a chord with me (see below). 2. Tononi's geometry of integrated information (showing degrees of freedom as a quadrant). 3. 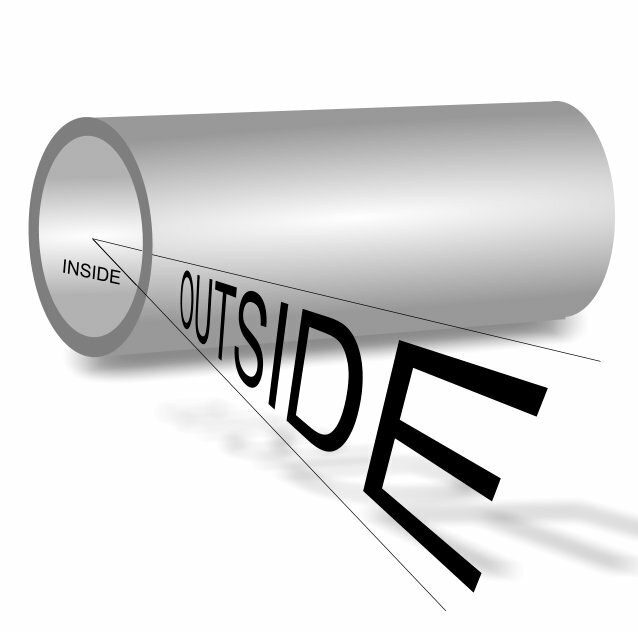 Microtubules, like any small cylindrical structure, have a very small internal space, and a massive external space. Crystals are common to our normal understanding of nature. Time crystals aren’t. In fact, it was only recently that anyone even hypothesized they might exist. Their atoms operate in a sort of time-array, as opposed to a physical array. The time crystal created by Lukin’s team was a synthetic black diamond, meaning that it was a diamond with a million or so “nitrogen vacancy” impurities — so many they made it appear black. The electrons in these impurities have spins: they can react to electromagnetic pulses by flipping 180 degrees, analogous to what happens to nuclei in the human body during magnetic resonance imaging. Normally, you would expect the spins to flip back and forth in synchronisation with the pulse. But that is not what happened. Instead, when Lukin’s team tried it with their black diamond, the spins flipped only once for every two or three pulses. Shivaji Sondhi, a theoretical physicist at Princeton University in New Jersey, who was part of the team that in 2015 first theorised that such crystals might be possible, compares the effect to repeatedly squeezing on a sponge. In the second study, a team lead by the Christopher Monroe, physicist at the University of Maryland, used a chain of 14 charged ytterbium ions, but got essentially the same result. Furthermore, the scientists found, varying the incoming electromagnetic pulse didn’t particularly alter the response. In other words, the time crystal’s response was stable, not strongly affected by variances that would normally scramble it and rapidly lead to disorder. Lukin says that another potential application is in developing sensing instruments capable of working on very small scales. These instruments could be designed with numerous tiny time crystals, tightly packed. The crystals would react to electrical or magnetic impulses in their local environment, but would not be easily perturbed by whatever is going on nearby. “We believe these will enable new approaches for [what are] basically quantum sensors,” Lukin says. Thanks, Will take a look when I get some time.